The Flow Mobile Wellness Project is designed to raise funds and flow heart-centered education and innovative wellness technologies into Colorado communities turning the daily OW into the daily WOW. This will bring heart, health and prosperity into communities helping wellness providers businesses and their clients/patience to thrive. The Flow Mobile is a quality of life advocate helping upgrade the health care system to be a healthier, happier wellness community providing a greater quality of living to Colorado communities. "The Flow Mobile" connects into communities all across the state of Colorado to provide heart centered education and new innovative wellness technologies to enhance quality of life. Wellness providers and their businesses are at the core of this service. The education, products and services "The Flow Mobile" provides connects us to heart, health, and prosperity so we CAN experience a happier healthier life with a greater quality of living. This is for people, pets, horses, plants, water and for healthier environments. Why a mobile wellness service? The Flow Mobile flows wellness to the community sectors in need of support bringing convenience and ease while providing a mobile office and housing for the flow mobile service provider. A mobile wellness service is the best way to capture community attention and get a buzz going about the project. When you have a mobile unit with "The Flow Mobile" wrapped to display this brand, people ask questions. Also, sponsors/businesses who contribute to the project get noticed with their brand/logo displayed on the vehicle. With your donation, your business will be proudly supported too. This project has been a work of art in progress and love is at the heart of the masterpeace. Yes, Peace... The peace that flows within all of us. Ultimate Wellness comes from feeling safe and peaceful in the world. It's important to bring attention to heart-centered education and new innovative wellness technologies so that we can update our health care system starting in Colorado communities and possibly being a prototype for other "Flow Mobiles" through-out the USA. As a wellness project, we will provide wellness businesses the opportunity to enhance their own products and services to help increase revenue to do more good in the world. The Flow Mobile Wellness Project is seeking $22,222 to start this project flowing. The project needs are a travel van/rv to be mobile, BEMER Pro Unit, Veterinarian horse unit, wellness tools and necessary vehicle necessities to be "The Flow Mobile" as well as insurance, licensing and fees. She has helped many people return to a quality of life through her heart centered services, innovative wellness technologies and loving consciousness. Through her own knowledge, education and expertise, she overcame childhood sexual abuse, paralysis, an abnormal cell growth in her cervix, carbon monoxide poisoning and a brain injury. She has helped many clients with similar issues, end of life, families with suicide, chronic illnesses and more return to a quality of life right where they are when most would give up on them. Her commitment is to take "The Flow Mobile" out into the community sector and be noticed making a bigger impact on creating healthier communities and a healthier health care system. Cynthia is a heart centered entrepreneur who cares deeply for the health and well-being of the planet and all who live here. With over 30 years of experience in the wellness business. 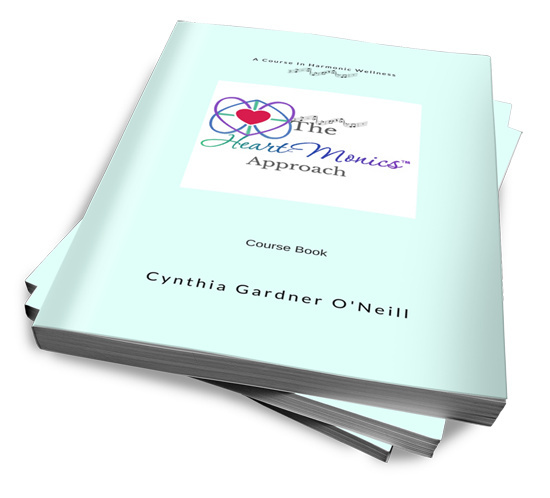 Cynthia has extensive education, training, and certifications in complementary, alternative, integrative and energy medicine/psychology. Her educational credentials include: Complimentary, Alternative, and Energy Medicine Professional, Studies in BioAcoustic, EnergyInformatic, Science of the Heart and Epigenetics as well as a Doctored in Divinity. In addition Certified and Licensed Wellness and Life Coach, Massage Therapist, Aesthetician, Flower Essence Practitioner, HeartMath Add Heart Facilitator, Wilderness Adventure Guide, and TFT Trainer. Harmonizing your life through better blood flow. Today we are measuring what was once immeasurable. New innovative wellness technology is now the forefront of wellness. We can now take bad blood flow and turn it into good blood flow nourishing your body and optimizing your life. This provides better cardiac function, nutrient and oxygen uptake to the cells as well as the removal of waste from the cells when blood is flowing with ease. The body moves out of stress and flows into rest providing a calm relaxed focused energy. This can be experienced using an innovative wellness device that provides the body the environment it needs to self correct itself and return to homeostasis. This device is the core product and service of "The Flow Mobile". The Intention for The Flow Mobile Wellness Project is to flow up to date heart-centered education and wellness technology into community enhancing the health care system for a greater quality of life for all. Helping one another is important to establish value to value exchange networks for a happier healthier community environment. Connection and collaboration are a key element to wellness in any community. The Flow Mobile project is being supported by our Fiscal Sponsor, Davi Nikent, Center For Human Flourishing, a registered 501(c)3 nonprofit organization, organized in the State of Colorado USA. Davi Nikent is a strategic partner active in Colorado communities promoting integral health and human flourishing. Along with this project, once it is launched and on the road, we have an on-going fundraiser, the OW to Wow Fund. Turn the daily OW into the Daily WOW. This fund helps people in crisis, animals and people struggling with their health and community wellness projects by raising funds to provide the innovative wellness technologies, such as, BEMER, heart-centered education, wellness and financial support and possible scholarships to community members enhancing quality of life. For/Non-Profits Wellness businesses and organization serving chronic disease, mental health and others.. Your harmonized heart is the solution to your wellness problems. It's time to put heart back into our health care system. Flowing heart-centered education, innovative wellness technologies and ancient wisdom into the wellness community. Thank you for your contribution and doing more good in the world. You will discover our crowdfund and can donate here. Harmonizing the Discordant Rhythms of the Heart that Cause Pain, Anguish, and Overwhelming Stress using integrative wellness services and devices to monitor, give feedback, and enhance quality of life. It is time to flow wellness into community. Heart-Centered education is at the heart of this program and the song in every heart. As a wellness provider, heart is usually the center of your business. Why separate your heart from your business when your business is based around your heart. Did you know your harmonized heart has everything to do with getting business and improving your service. The importance of harmonizing the rhythms of the heart is significant to wellness providers and their clients, as well as, supports the business to bring in more revenue to do more good in the world. Flow Your Life Back To Health. Introduce, educate, and share the importance of the heart and the life blood that flows through it. Discover an innovative wellness device that promotes blood flow in the micro-vessels bringing more oxygen and nutrients to the cells while removing waste giving your body the environment it needs to self correct and return to homeostasis. Blood flow is one of the most important functions in the body and that includes animals, as well as, plants too. The aging process can be a scary journey as traditional medicine keeps us believing that illness and disease is inevitable. A new guide is available to teach you the truth about aging with grace and ease. It is an untypical guide to take you on an adventure into your heart and discover the youthful state of being at 30, 60 or 90. Quality of life is what is important not the longevity. Quality over Quantity. Join us for "Aging With Ease" coaching programs and retreats. Linda Tellington Jones speaks about the innovative wellness device provided by The Flow Mobile as a product and service within the business plan for herself and animals. Working with horse owners and their horses will be a key components of the business success for "The Flow Mobile". 90 years old Joci James has been a client of Cynthia's since 2014. Joci is experiencing amazing results with"The HeartMonics Approach" as well as the innovative wellness device for blood flow. Upon getting her own device, her results have been enhanced to a whole new wellness level. Aging with ease becomes a reality working along with Cynthia Gardner O'Neill's Ultimate Wellness mentoring programs, products, and services. This team used the innovative wellness device to win the grueling "Race Across America" in 2016. The device allowed the athletes the ability to recover, stay hydrated, increase energy and sleep well during the race. You do not need to be a professional athlete to enjoy the benefits of this therapy. In fact, performance and recovery are an essential part of daily life. Why is blood flow so important for health? The Flow Mobile Wellness Project's intention is to bring innovative wellness technology, science of the heart and ancient wisdom into communities enhancing quality of life at the source of wellness business. Wellness businesses are at the center of the community and heart centered education, products and services are intended to enhance the quality of their overall business. Our team is made up of heart centered individuals bringing this opportunity into reality. A sustainable heart centered business that brings heart, health, and prosperity enhancing quality of life. Harmonizing wellness business through heart centered education, changing perception and loving consciousness. Your harmonic heart is the solution to your wellness problems. A continued flow of support to turn the daily OW into the Daily WOW and flow more love into community. Please join us in contributing by sharing this page, donating, or giving your heart centered testimonial. If you have someone you feel that is in need of support with their health and wellness you can refer, call or email us. Your health and your loved one is our priority! We care about your feedback and questions. Please feel free to call or email us. Thank you for support.